From Friday, Sept. 28 – Saturday, Nov. 10, fans of the darkness that lies in the Wizarding World are invited to experience it for themselves at Warner Bros. 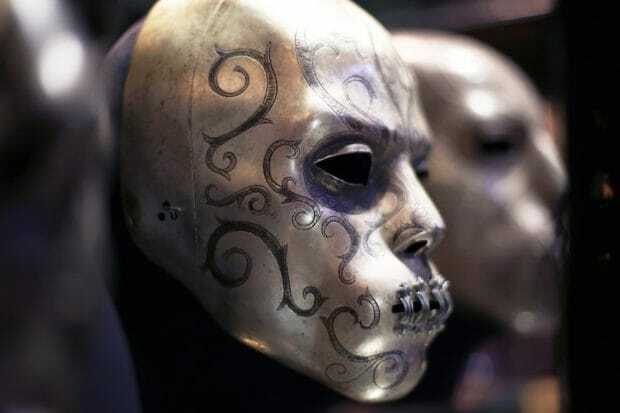 Studio Tour London – The Making of Harry Potter as they host a special exhibit dedicated to the Dark Arts. Experience the darkness of the Wizarding World this Halloween at Warner Bros. Studio Tour London – The Making of Harry Potter. New for this year, the Studio Tour invites fans to celebrate their favorite Wizarding World costumes for one of two exclusive costume evenings on Oct. 6-7 at 6:45 p.m. Guests can come dressed as their favorite witch, wizard, creature or muggle and enjoy unique photo opportunities and giveaways that celebrate the costumes of the Dark Arts. Tickets go on sale at 10 a.m. on Aug. 14 and can be bought online. Created by the Head Propmaker on all the Harry Potter films, Pierre Bohanna, the pumpkins are modeled after those found in Hagrid’s pumpkin patch in “Harry Potter and the Prisoner of Azkaban.” The Great Hall tables will be decorated with a Halloween feast of pumpkins, red apples, and cauldrons of lollipops for the occasion. After guests learn wand combat moves in an interactive experience with Wand Choreographer Paul Harris, they’re invited to take part in a live duel with Death Eaters in the Studio Tour’s backlot. Guests can test out their new wand techniques as they are directed through a battle with Death Eaters as they storm the Hogwarts Bridge, showing how a crowd scene like the Battle of Hogwarts would have been created during filming. In addition, vats of gooey troll snot, buckets of Fluffy’s drool and pools of silvery unicorn blood will be featured in the tour, allowing visitors to get hands-on learning about how the goo and slime were created. Guests will be able to walk through a darker Dragon Alley as the lights will be dimmed and the music turned to a more foreboding tone on the wizarding shopping street. 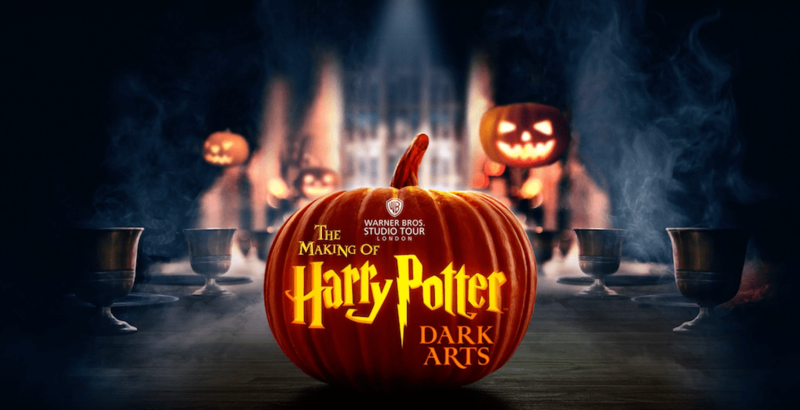 The Studio Tour’s Dark Arts exhibit will run from Sept. 28 – Nov. 10. Tickets must be booked in advance, and all extra activities are included in the ticket price – including the costume evenings. To learn more about Warner Bros. Studio Tour – The Making of Harry Potter, and to purchase your ticket, visit WBStudioTour.co.uk.